Can acupuncture help with whiplash injury and backache? Beth came to me in December 2015 with a whiplash injury she had suffered in 2008. The right side of her neck plus her back and shoulders were very tight both from the whiplash injury and from her work at a computer. Sometimes the pain turned into a headache which rose up over the back of her head and into her forehead. In the previous two weeks, she had also been suffering from shooting pains up her neck to her ear which she had not had before. She had received acupuncture from a physiotherapist on the NHS four times in the previous year. Each time it eased the pain for a while but then it came back. She also found that deep tissue massage helped for short periods. Having taken her medical history and her pulses I decided to use acupuncture to clear the Gall Bladder and Small Intestine channels across the neck and shoulders. After 20 minutes I removed the needles and did some Gua sha followed by Tuina massage. Earlier this week Beth kindly gave me a review saying that after just this one treatment her neck is still pain-free 10 months later. If you are suffering from neck, back or shoulder pain it’s time to give acupuncture a try. Call me on 07733274745 or email me at info@jackiegrahamacupuncture.com for a free consultation and to book an appointment (see contact links at the right hand side of this page). 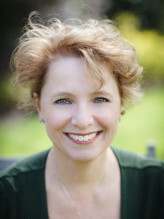 Or visit me at the Bridge to Health Clinic in Ealing. 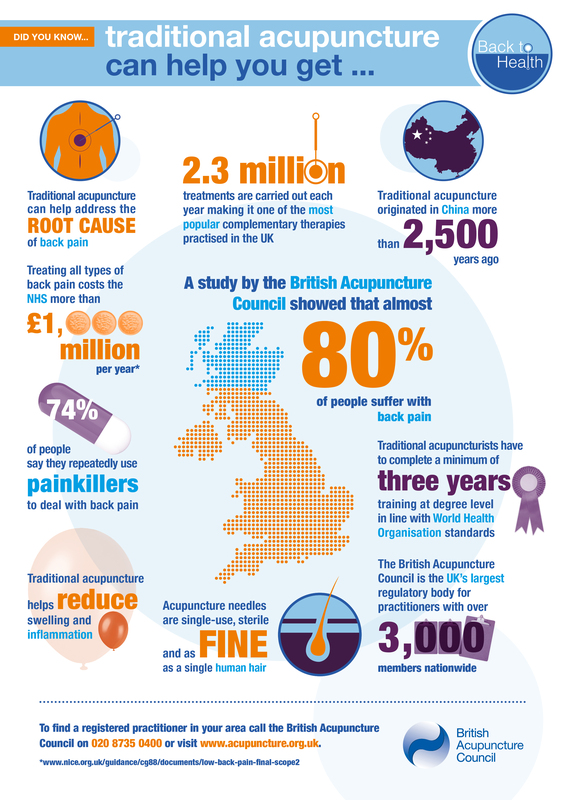 The British Acupuncture Council are supporting Back Care Awareness week with a Back to Health campaign. See the infographic below for more information.